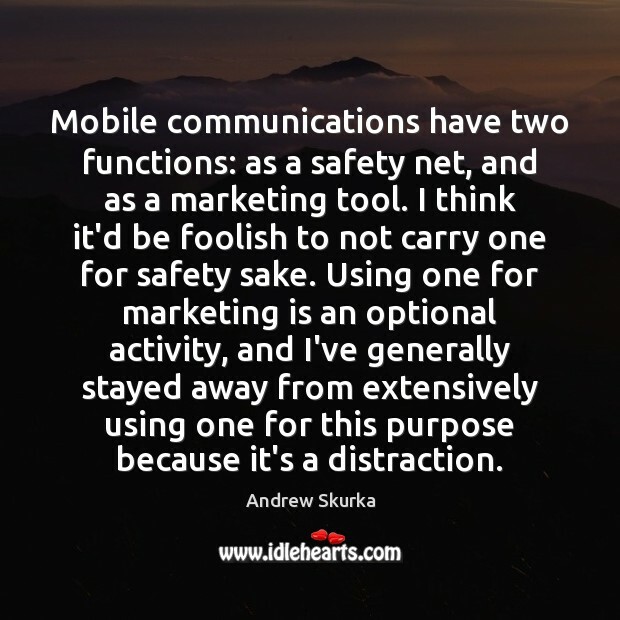 Enjoy the best inspirational, motivational, positive, funny and famous quotes by Andrew Skurka. Use words and picture quotations to push forward and inspire you keep going in life! Buy your freedom. Work really hard when you're young, save every penny, make a lot of money, and retire at 40, or 30 if you get lucky. I'm focused on doing what makes me happiest and on how I can make real improvements and contributions to my immediate niche, i.e. my family, friends, and local community. Mobile communications have two functions: as a safety net, and as a marketing tool. I think it'd be foolish to not carry one for safety sake. Using one for marketing is an optional activity, and I've generally stayed away from extensively using one for this purpose because it's a distraction. I would describe myself as a "budding adventurer." 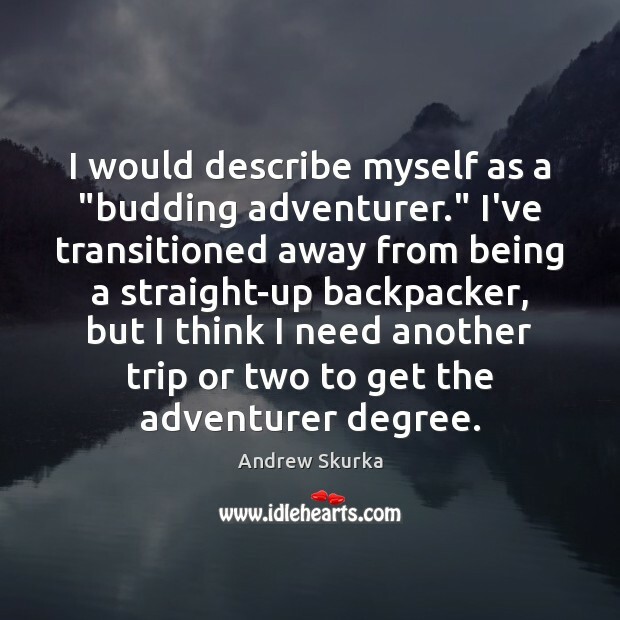 I've transitioned away from being a straight-up backpacker, but I think I need another trip or two to get the adventurer degree. 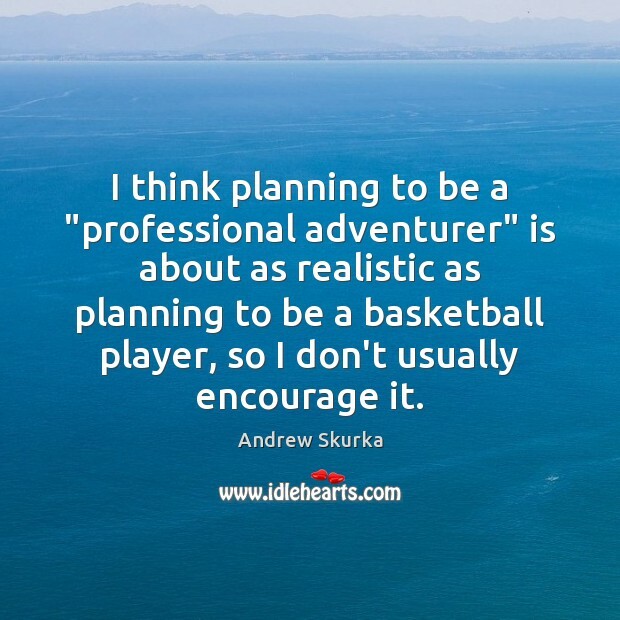 I think planning to be a "professional adventurer" is about as realistic as planning to be a basketball player, so I don't usually encourage it. 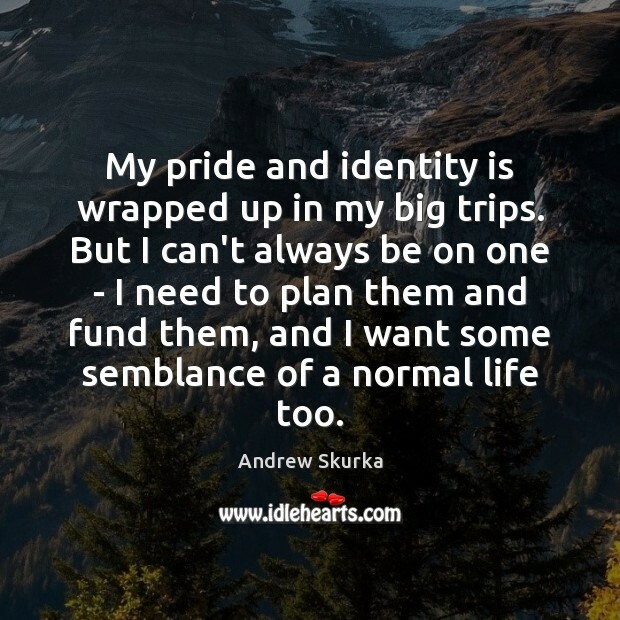 My pride and identity is wrapped up in my big trips. But I can't always be on one - I need to plan them and fund them, and I want some semblance of a normal life too. My first trip was the Appalachian Trail, and I was able to finish it despite having no skills and no experience when I started. 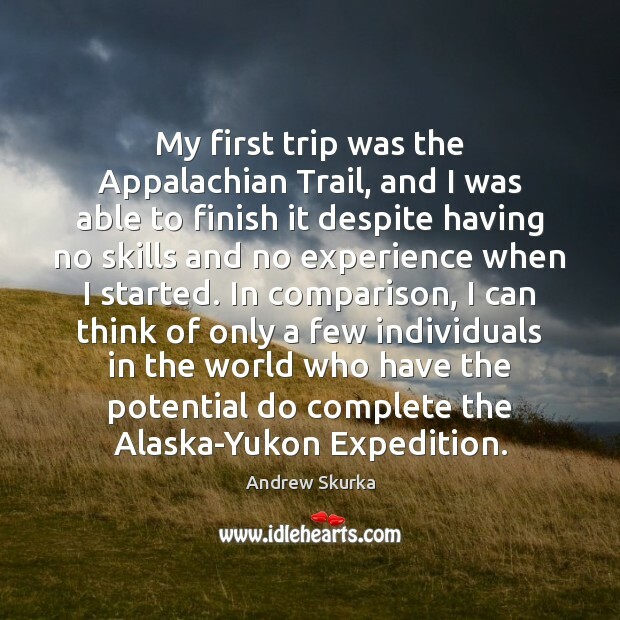 In comparison, I can think of only a few individuals in the world who have the potential do complete the Alaska-Yukon Expedition. 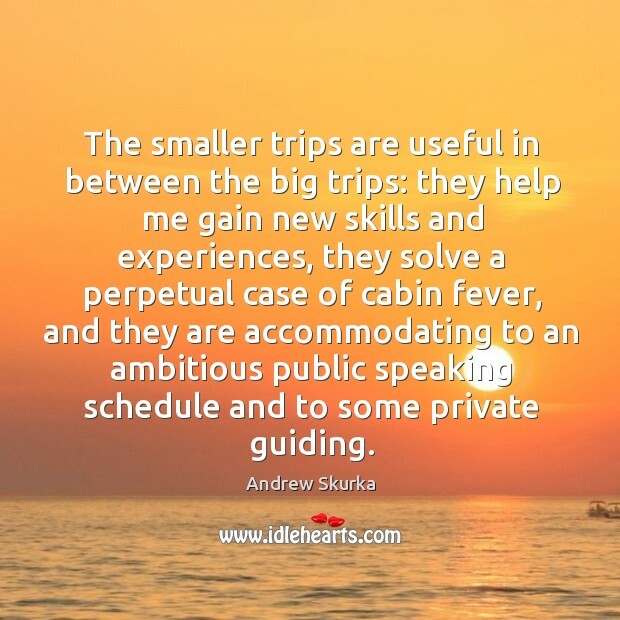 The smaller trips are useful in between the big trips: they help me gain new skills and experiences, they solve a perpetual case of cabin fever, and they are accommodating to an ambitious public speaking schedule and to some private guiding.